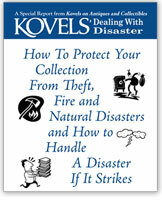 By Terry Kovel & Kim Kovel, ©2013 Full-color, saddle-stitched booklet, 17 pages 8-1/2 by 5-1/2 in. 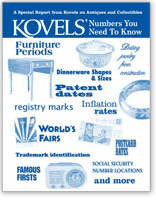 The Kovels have navigated flea markets for decades. Learn from the best. 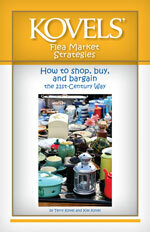 Know what to wear, what to bring along, when to show up, and (most important) how to negotiate your way to a bargain. 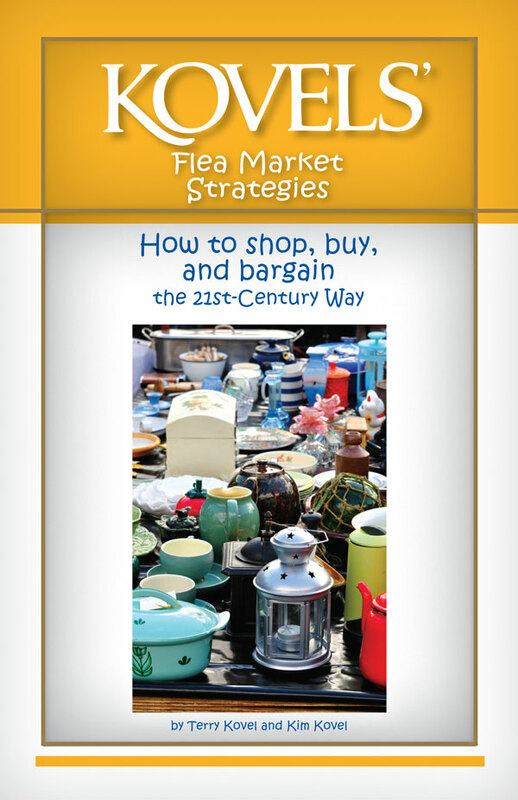 Also, tips on spotting fakes, advice about paying for your purchases, shipping suggestions, and a list of the latest smartphone apps to help you shop, share, and ship! 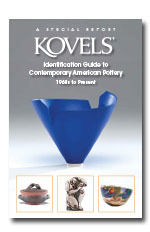 Full-color, saddle-stitched booklet, 17 pages. 8-1/2 by 5-1/2 in.